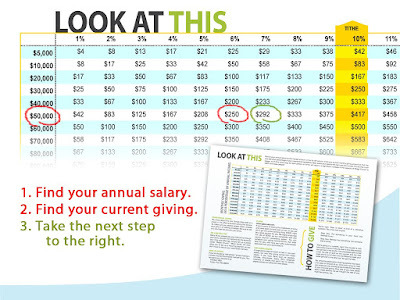 A simple step to the right=LIFE CHANGE! Sunday we took a few minutes to paint the picture of what we want to do as a church this year for Christmas & it's awesome. Here is the recap: This year we want to pool our resources together to provide such a huge & unexpected Christmas for a family that it has the capacity not just to change December 25th for them but to potentially change their entire year. Who knows maybe their lives will be changed! We have identified a family in our area that has some significant needs and we have set an ambitious goal to provide all of their Christmas and much, much more. This single mother is doing her best to make ends meet but she doesn't have a car or phone or some basic living necessities and we believe that is simply unacceptable. SO---First of all we want to purchase a car for her! Depending on how well we do raising funds as a church we would also like to provide car insurance for a year--gas for a year--a chunk of grocery money--a pre-paid cell phone for a year--some help with bills & MORE!!! 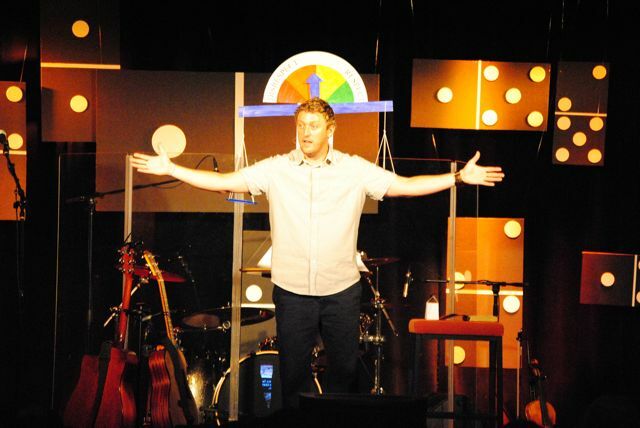 How much more depends on how far the people of Ridge Church are willing to stretch themselves. 1) Pool together our resources that maybe would have gone to multiple ventures or needs this Christmas and instead combine them with the gifts of every one at Ridge Church to make massive impact for a family! How will the collected resources be dispersed? Is this for people inside Ridge (attendees) or people outside Ridge Church...ANSWER--BOTH!! Our mission is to lead people into a growing relationship with Jesus Christ so every dollar we spend is ultimately toward that end. We believe that we have a responsibility to create irresistible environments every week for people of all ages that are a platform for ongoing change in people's lives [as well] as strategically blessing people in the name of Jesus--even people that in some cases may never attend our church. So these funds will increase our capacity to reach people through the weekly environments of Ridge Church as well as increasing our capacity to bless people in need within our community. 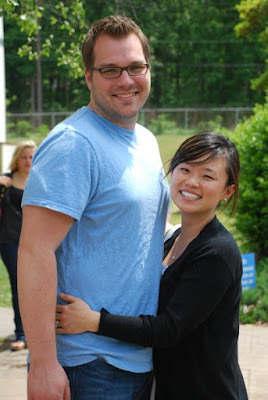 Stories like Mark's story are a result of God's activity through the environments YOU help us create at Ridge Church! One simple step to the right enables this to happen and will help us provide an unexpected Christmas for a family in need! I can't wait to see how God uses each of you to help create space for life change. 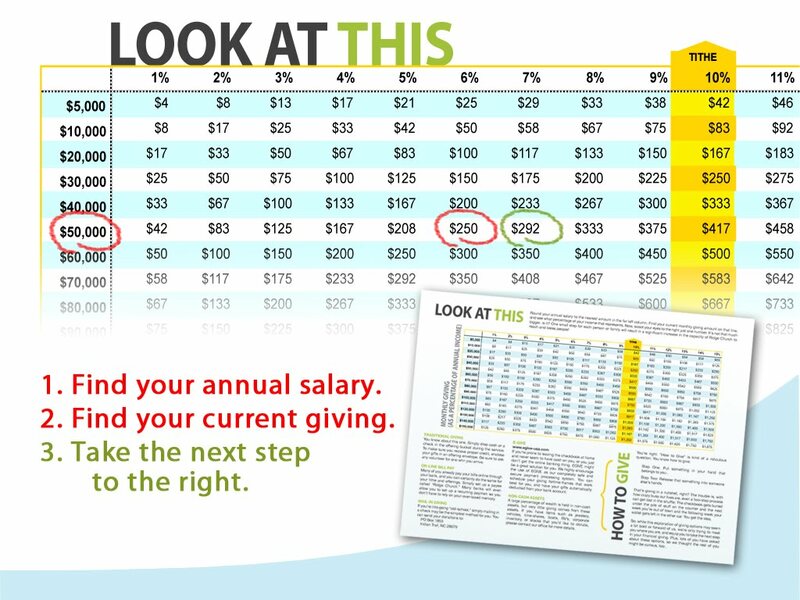 Take a look at this video then join the mission--take a simple step to the right! 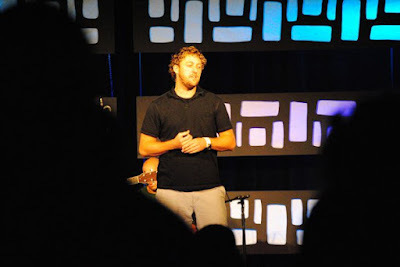 Mark Henry "In His Own Words" from Ridge Church on Vimeo. It was great to be at Ridge Church for part two of Unexpected Christmas. You can catch up on part one and two of that series HERE. Sunday was a rare Sunday where we brought children into the adult worship service to celebrate together so we had some grab bags & fun elements for them (fun for adults too:-). Check out the Opener "I want a hippopotamus for Christmas". Packed house. Really fun day! Very practical message. Best quote of the day from worship leader Christopher Kincaide, "No Hippopotomi (is that a word?) were harmed during that opener"...pretty sure that's a Ridge Church first! Fun Opener 11-28 from Ridge Church on Vimeo. Join us in Giving an Unexpected Christmas! 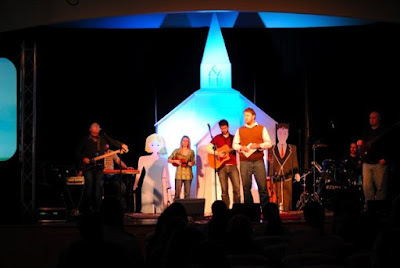 Giving An Unexpected Christmas from Ridge Church on Vimeo. 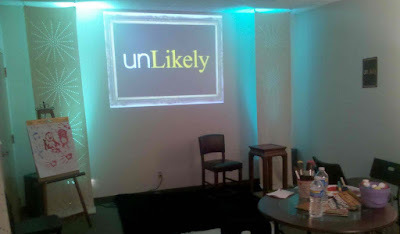 Great kick off for our Christmas series called "Unexpected Christmas". Take a look at the opener from week one. Rusty Burchard built a house on stage--(big enough that I entered the stage through the front door of the house) He also developed a lights show that synchronized to a Christmas song. The 9:30 crowd broke into spontaneous applause. The 11 crowd didn't show up until 11:15:-) It was even better live so don't miss this week. 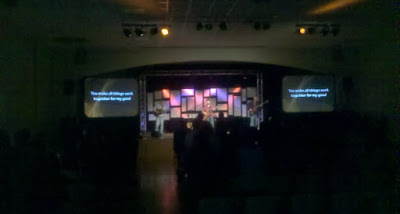 One combined service at 11am. It will be a really fun day! Fun Opener from Ridge Church Christmas 2010 from Ridge Church on Vimeo. Unexpected Christmas...going to be awesome! Most people associate Christianity with religious living... an attempt to live a life filled with godly morals and virtues. Some days, we're good at that. Some days, we're not. Fortunately, Christmas reminds us that Christianity is not as much about what we do as it is about what has been done for us. Jesus' lineage is filled with shady characters, people with less than stellar pasts... none of whom could have come to God on their own merits. But a relationship with God has never been based on our own goodness. So if you feel like the things you've done (or haven't done) are keeping you from God... well, you can throw that thinking out the door. And conversely, if you feel like the things you've done are responsible for your relationship with God... well, you can throw that thinking out too. If there's anything that the Christmas season reminds us of it's that we're all in need of help... help that Jesus is willing and able to give. Great kick off of our new series called "Twisted." This series is one of those game changers so do whatever it takes to experience it. 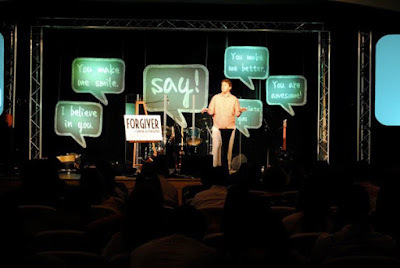 Go HERE to access any of our past sermons online. We are currently tweaking some of our ministry environments at Ridge Church and we also introduce new stages sets and themes in several of our environments each time we begin a new series. Here are a few pics from today (read the captions for context). For reference, we meet in the Levine Senior Center and have to create these environments from scratch every week. These are just a few of the rooms we transform weekly. In addition to these pics we also transform a weight room, computer room, and hallway space to become Waumba Rooms. It's literally amazing resourcefulness and commitment by the volunteers and staff each week to create all of this. Great environments begin with great people! Thanks ridge vols! When we arrive: This is a Senior Center Foyer complete with tons of trinkets and doo dads. The Black drape covers some type of display case. Most of our regular attendees have never even seen it or know that it's there. When we arrive: this is a senior citizens dance studio. 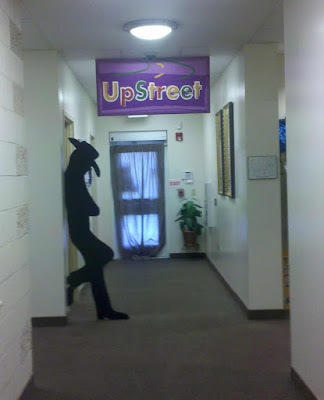 This is the upstreet stage during rehearsals. When we arrive: This is normally "just a hallway" but become our foyer for teenagers to hang out. Complete with donuts each week. When we arrive: this is a game room complete with 4 poker/game tables (no joke). 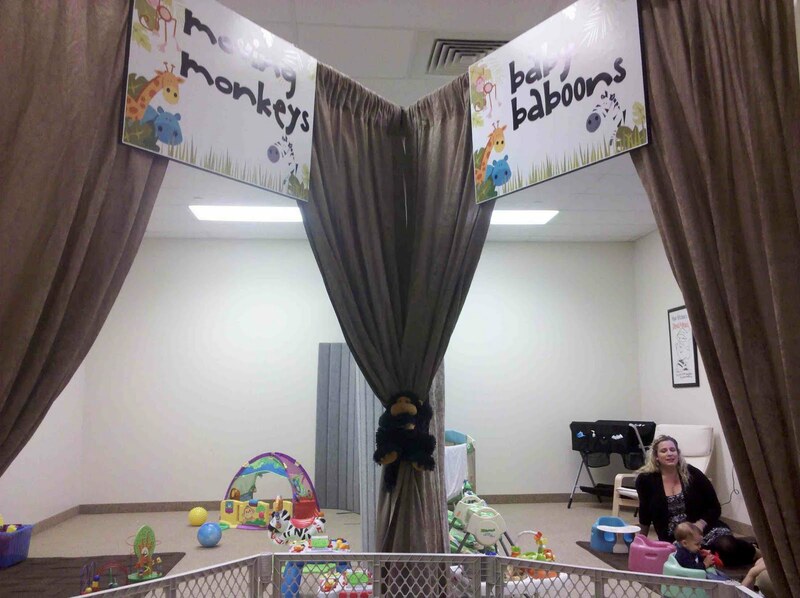 We turn it into two waumba room for our infants and crawlers. When we arrive: this is a craft room but it is transformed to become a Waumba large group room complete with Zebra carpets and curtains and tons of other amazing decor not shown here. "I used to be on the outside looking in"
We had a great weekend at Ridge Church as we kicked off a new series called "Just Ask". Having spiritual conversation or inviting people to church can sometimes be intimidating. Sometimes we don't know what to say or we fear what they will say in response so ultimately we often just don't ask. One of the things we discovered this weekend is that sometimes an immediate NO paves the way for an eventual YES. So don't give up. Take advantage of opportunities this week. **We need your help: We have two services 9:30a.m. and 11:00a.m. We are running out of space at 11am so if you can arrange to worship with us at 9:30a.m. you will help us keep creating open seats at optimal times. Thanks! 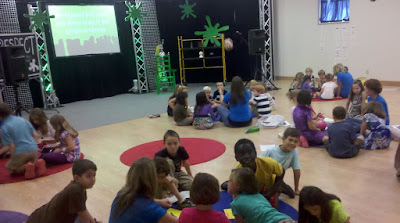 FUSION Gatherings--Charlotte needs this desperately! Our philosophy at Ridge Church on trying or launching new things is simple. We must answer this question: "What problem are we trying to solve?" If there is no problem then there is no need for a solution. If there is a clear problem that needs to be addressed then we keep the conversation alive. For me the problems are often identified by paying attention to what "bothers" me or "bothers" our team. That's how I arrived at the decision to launch something called FUSION. Our partner church, North Point Community Church, has a similar idea but we have adapted it to address our specific needs here in Charlotte. 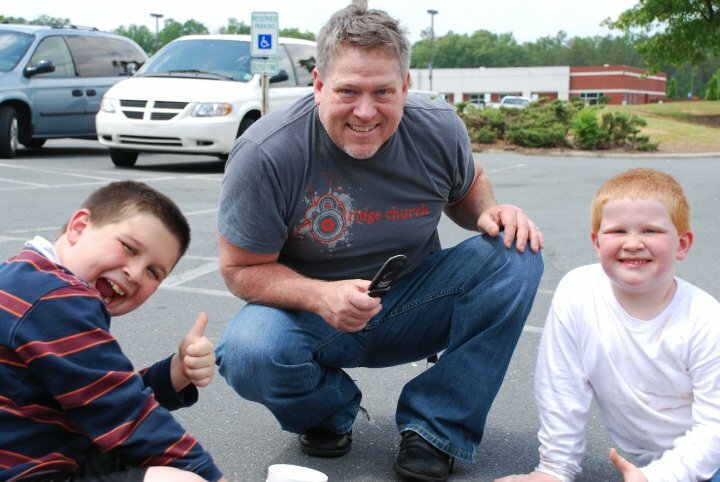 We believe that Ridge Church and Charlotte desperately need a place and pathway for college and single adults to get connected into mid sized gatherings and eventually into smaller community groups. That's why we are launching FUSION! "Fusion is an environment where college and single adults come to build authentic friendships and get connected. 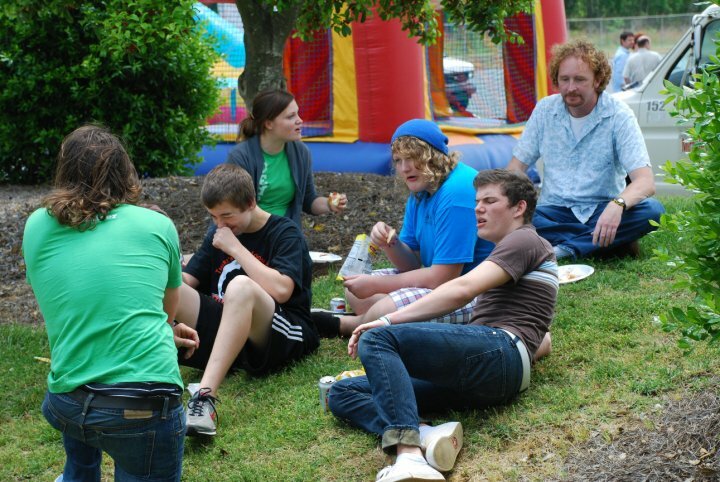 Fusion Gatherings are mid sized gatherings of 15-25 people who meet three times a month in the Charlotte area. 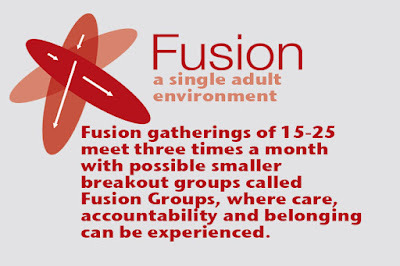 Fusion Gatherings also provide smaller break out groups called Fusion Groups where accountability, belonging, and care can be experienced." We are just launching these groups so we are keeping them open for the next several weeks. So this is the time to invite people and to get involved. We know this is a huge need and the potential is even bigger. So spread the word. 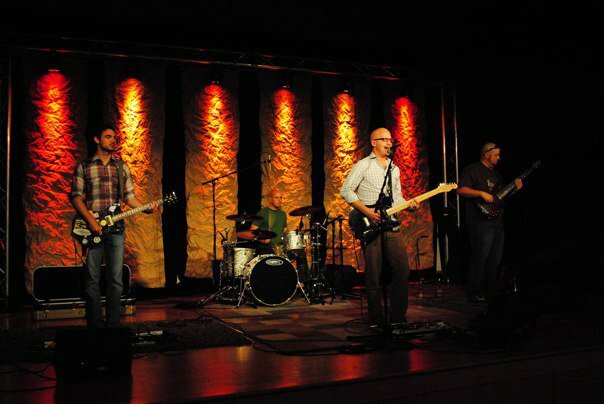 Women's Fusion Gathering will be on Tuesday nights, and the Men's Fusion Gathering will be on Thursday nights. Go HERE to contact us if you are interested or would like additional information. Just put FUSION in the memo line. This thing is serious business people! Man, I love it. 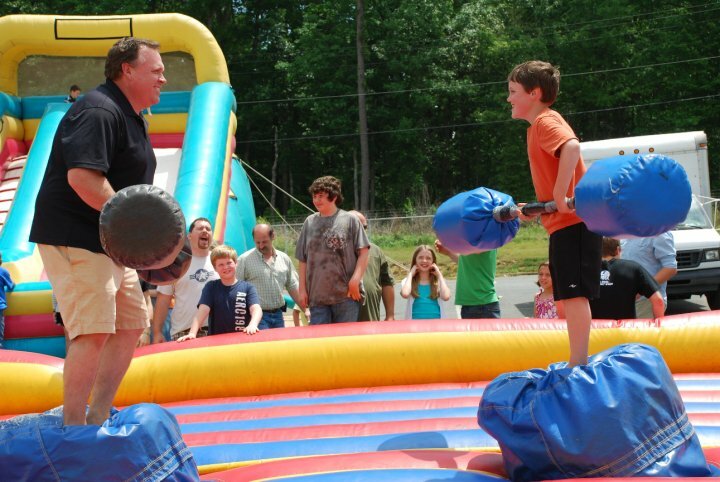 The mission of Ridge Church is serious business. 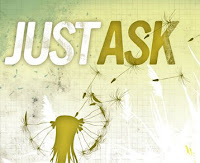 This Sunday I will begin a two part serious called "Just Ask" that I'm very excited about. Part one will be a look under the hood of Ridge and a challenge to all of us. Part two is going to be unbelievable. I won't tell you details yet but I'll tell you it's a "must experience day" and ultimately this is a "must experience series". Ridge "The Stories" from Ridge Church on Vimeo. It's been powerful-Don't take my word for it! My computer was being worked on last week so I've been anxiously awaiting it's return so that I could recap the recent weeks and exciting momentum at Ridge Church. Two weeks ago I challenged people to do everything in their power to get to Ridge Church and to bring their friends believing that it could literally change peoples lives...AND it was everything we thought and more. It was one of the most powerful weekends in our two years of Sunday morning services as people in both services publicly acknowledged surrender to Jesu s.
These are days of life change and growth at Ridge. You can sense the momentum growing week by week and every week you don't come you are missing something powerful. Don't miss out as we start a brand new series this week called "Just Ask". See you at 9:30 or 11:00. Come early...we had to start a Waumba room in the hallway because we're short on space!! Most important weekend of your life? This could be the most important weekend of your life or your friend's life, or your neighbor's life, or your co-workers life... We hope to see you at Ridge Church at 9:30 or 11:oo. Don't Miss Out! from Ridge Church on Vimeo. Will you pray for the Kenya Team? 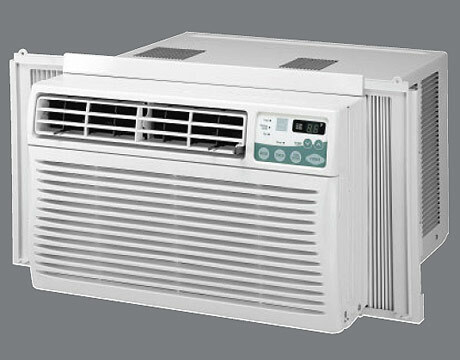 With permission I share this story...The air conditioning unit went out for a family a t Ridge Church and it would be a few weeks before "funds" allowed the repair. 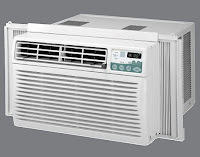 So mom challenged the children, "Every time we feel like we want to complain we are going to let it be a reminder to us to stop and pray for the people of Kenya because they don't have air conditioning." It didn't take long until the son busted one of the daughters complaining. So they stopped to pray for Kenya and it went like this, "Dear Jesus, please help the people of Kenya to get air conditioning." This week please stop throughout your days to pray that God will protect, inspire, and use this team in extraordinary ways! Don't just stand there...Do something! 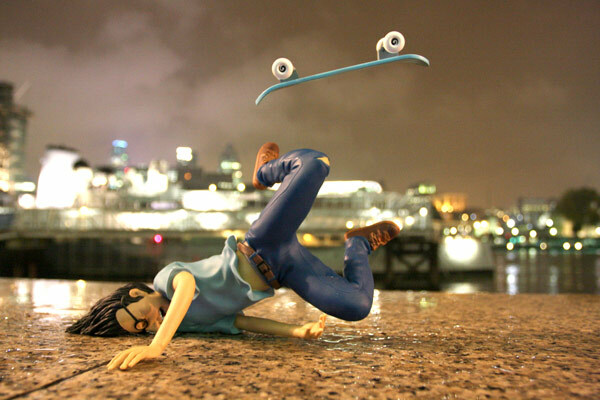 Don’t just stand there…Do something! Recently the daughter of one of my wife’s co-workers found herself in a crazy scenario. While working at a store in the mall she witnessed a man try to kid nap a 5-year-old little girl. He kneeled to eye level with her, spoke quietly to her, then took her by the arm and began to lead her away. The college female employee removed her work apron and darted out f rom her workplace counter to confront the man. In typical creepy kidnapper fashion he calmly said, “It’s fine her mother sent me”. But she persisted in questioning him until he became agitated and pushed her to the side as he began to run with the little girl in tow. [STOP and think] What would you do at this point? Well, this college female employee chased the man down, screaming as she ran “kidnapper, kidnapper…call 911”. Then my favorite part, she caught up to him, tripped him, and punched him square in the nose breaking his nose (you cheered inside didn’t you?). Security came and took him away. Later they found duct tape, rope, and a black bag in his car. True story! Interestingly during this entire episode not one person stepped in to help as the man ran through the mall dragging this small child. 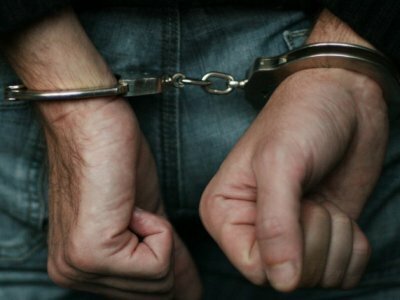 Not even as the college age girl screamed “kidnapper”, and pleaded for help as she chased him. It’s literally nauseating to imagine the different possible outcomes if this college age girl had decided to stand there instead of doing something. What if she decided it wasn’t her problem? 2.) We are a church that (also) INVITES children/teens to belong before they believe while also partnering with families. This weekend we celebrated 2 years of Sunday mornings at Ridge and had more children in Upstreet (k-5th) than we had adults in our launch team 2 years ago. 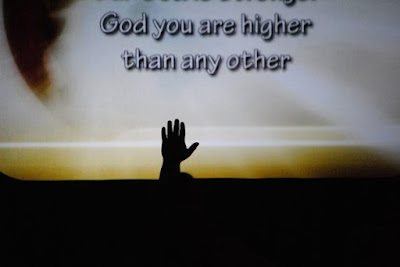 3) We are becoming a church that INVITES the undeniable presence of God. We want people of all ages to experience God...not just us! 4) We are becoming a church that INVITES radical participation in God's activity. This week a team from Ridge Church leaves for Kenya. Next month a team leaves for Panama. And locally? 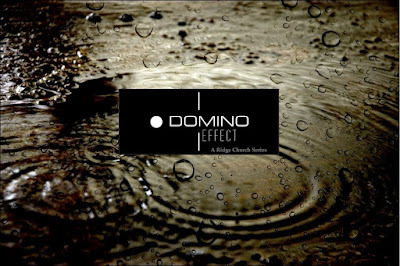 Man you've gotta scroll down and read some of the domino effect stories on our Fan Page! 5) We are a church that values people sitting in circles more than people sitting in rows. We value authentic biblical community. You can sign up for Group Link HERE. 6) Last but not least. Along with my family--I get to be some small part of what God is doing through Ridge Church. You can too! You can tell a lot about people by their facebook or twitter status. You can often times learn what people are passionate about or what makes them happy or angry. Some people's status seem to indicate that they don't have any friends since the information they are sharing with the public sounds like some deep emotional thing you would normally only share privately with a dear friend. You can spot the glass half full people and you can definitely spot the glass half empty people. The proud parent and disgruntled employee surface frequently as well. There's the frequent flyer status person who's proud of their new smart phone capabilities and posts multiple times per hour and there's the once a month "out of hibernation" status guy or girl. You can also tell a lot about people by paying attention to the "changes" in their status. I only follow a handful of people on twitter and in recent days the status updates of one of my dear friends changed immediately and distinctly. No more links. No more pictures of daily excursions. No more funny commentaries. No more sport team updates. No more witty or pithy sayings. 6-7 status changes in a row were about his teenage son that was in a terrible ATV accident and had to be air lifted to the hospital. Updates and prayer requests only...and if I were in his shoes that's exactly what would have happened to my status! This got me thinking--when your life forces your "status updates" to change, and it will because life is unpredictable, will any of the people reading your status care enough to get involved? Does any one in your life feel a sense of responsibility for you? Plenty of people care about you, but does any one see you as THEIR responsibility? Answer this question now because after the status updates start to change it's too late. This is just one more reason that I love the structure and mission of our church. We do everything in our power to convince people to be a part of what we call community groups. In these groups you have the potential for Accoutability, Care, and Belonging. Trust me...when your "status" changes you will either be glad that you decided to surround yourself with community or you will wish that you had. Fortunately both my friend and his son have chosen to surround themselves with community and people that care about them and in this hour they need it! Would they mourn our loss? 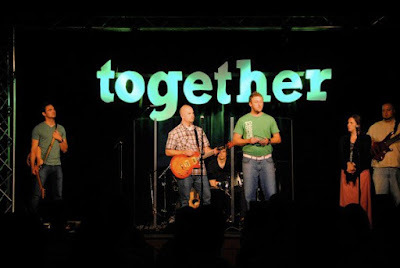 THREE: We must become a church that INVITES radical participation in God's activity. Again, go back and listen to the second half of that message to get the full context. It's a good reminder of the kind of church Ridge has set her sites on becoming--and is becoming! Go HERE to listen. Crowd control-Ridge is seeing double! Just a quick update and reminder. This coming Sunday is our final Sunday with only one service time. 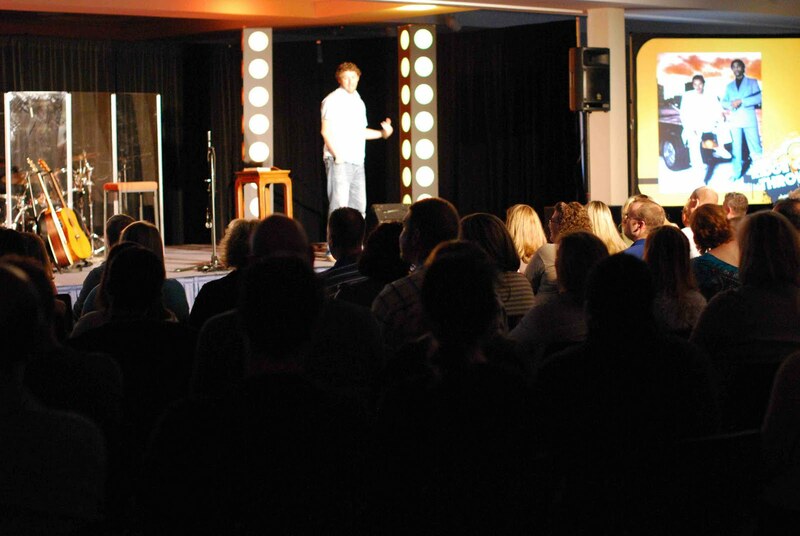 It was a crazy packed house last week so the timing is perfect. On September 12th our service options will expand to 9:30am and 11:00am! 1) For our volunteers: Many of you volunteer in Waumba, Upstreet, or Student Impact and don't get to attend or invite people to worship services. 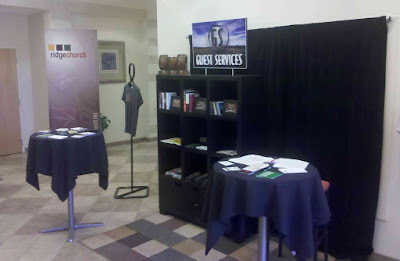 We want you to ATTEND one worship time and SERVE one worship time. You, our volunteers, are also the best "inviters" among us, so now you can invite friends to come with you to the 9:30 worship time. 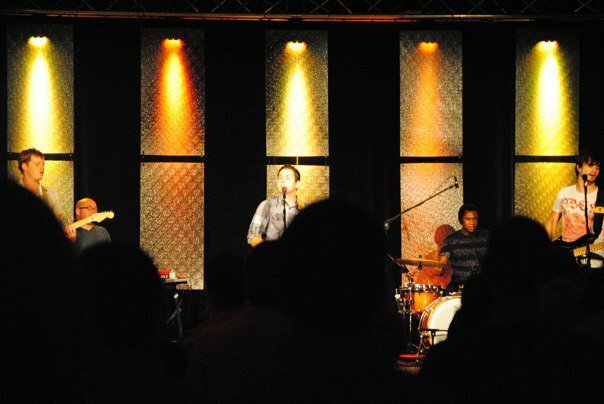 2) For our students: We believe God desires to use teenagers to bless people here and now. Two services allow them an opportunity to attend their worship environment at 9:30 as well as volunteer during the 11am worship time. 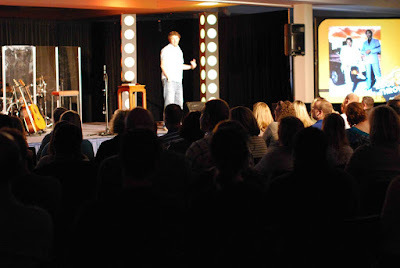 3) For open seats: When we open up new service times it opens up new seats so we can continue to grow. 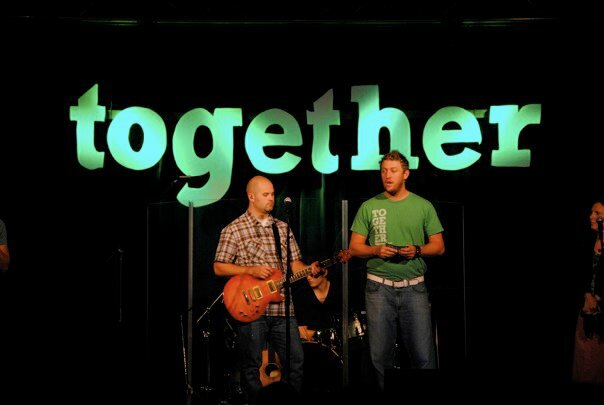 Take the time to invite a friend to attend Ridge Church with you. Sometimes all they are waiting on is a specific invitation. Have you asked them yet? If not it's time. We will offer identical adult worship experience at 9:30AM and 11:00AM. 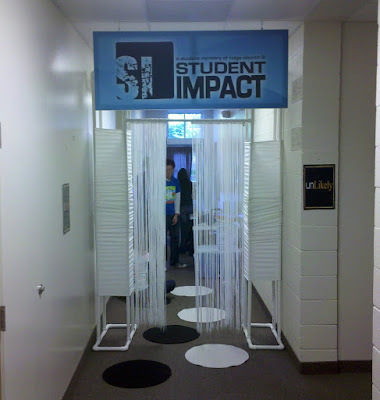 Student Impact for grades 6 - 12 at 9:30AM and Waumba (birth-5yrs) and Upstreet (K-5th) at 11:00AM. 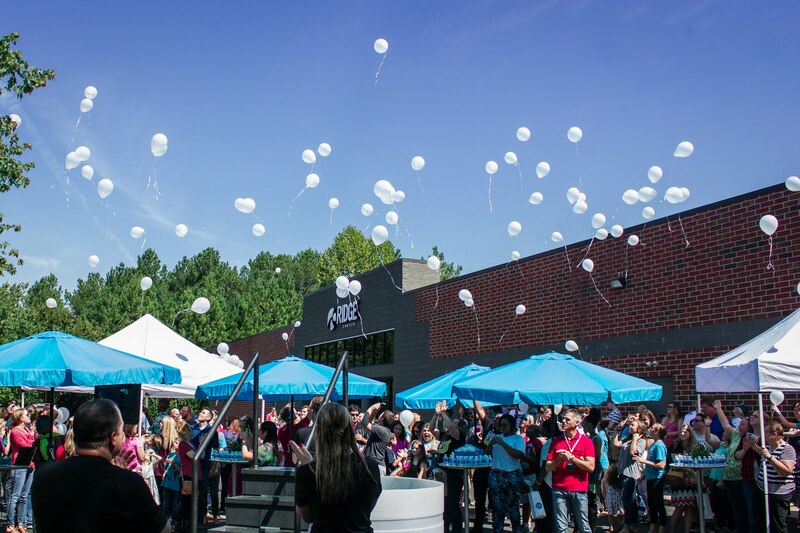 **We are experiencing explosive growth in our family ministry areas and are already in need of considering expanding to add a second Waumba and Upstreet environment at 9:30AM. BUT we need your help! It takes many committed volunteers to create these excellent environments. Help us create more seats so people can continue to experience God's love and plans for them! Maybe it's time to get off the sidelines and get in the game! We simply MUST NOT run out of space for families!!! Sign up HERE! Does our city need another church? Does ou r city need another church? Man, did I ever wrestle with this question when I felt God leading me toward church planting back in 2005. "I hear you God but why here? Why Charlotte?" Let's be honest, does Charlotte really need another church? 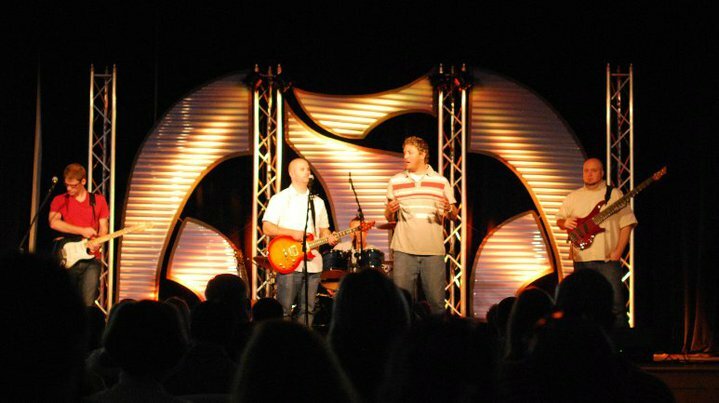 And soon that burden became a passion...and that passion lead to what is now Ridge Church. 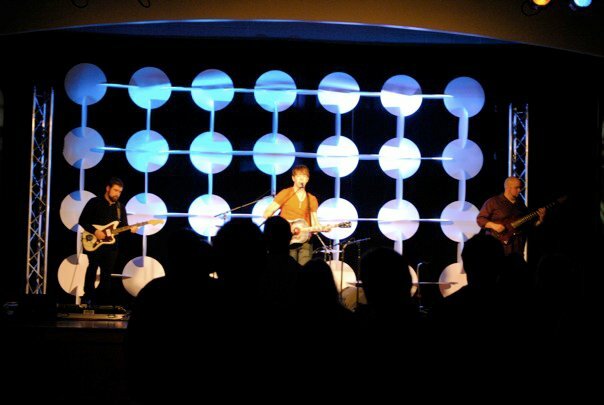 In a few weeks we will celebrate two years of Sunday morning services. But the problem that required the Genesis of Ridge wasn't lack of churches. It was a desperate need for an environment where church people could bring there un-churched friends, and where un-churched people would love to attend. Our city was in desperate need of a church that partnered with families; a church that spoke in relevant but biblical terms; a church that extended messages that were practical and applicable; a church where worshipping God was enjoyable rather than endurable; a church where people could experience a personal relationship with God without the trappings of religion; a church where community with other believers was/is paramount. I'm so proud and honored to be part of it! Last week we had 55 kids in just our kindergarden-5th grade environment so clearly something is working in our partnership with families. 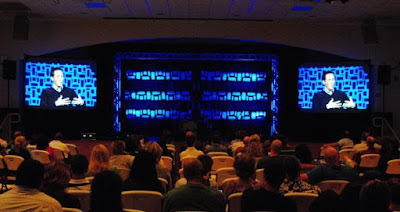 In my last post I highlighted a few of the amazing stage sets that our production/creative team is able to pull off even though we are in a load in context as a church. To add to the already challenging task of creating appealing environments for people of all ages, we've had to learn to be creative on game day too. In the words of a great theologian--Load in church is, "...like a box of chocolates, you never know what you are going to get. "- Forrest Gump. One morning we arrived to discover a brand new bird cage in the foyer of the facility. That's right a bird cage! First week we covered it up until we realized that all the kids loved it. Now our children terrorize those birds every week while their parents check them in. If I had to guess I would say "sippy cups" now strike fear into the heart of those birds! Another week we arrived to find a new "defibrillator" attached to the wall right beside one of our waumba rooms (pre-school). 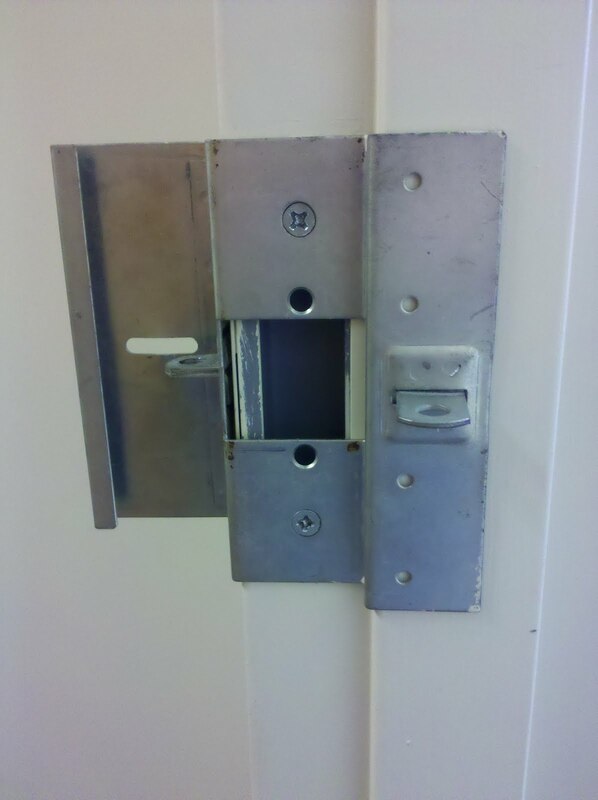 In case it isn't clear in the picture--that is a pad lock for a door. 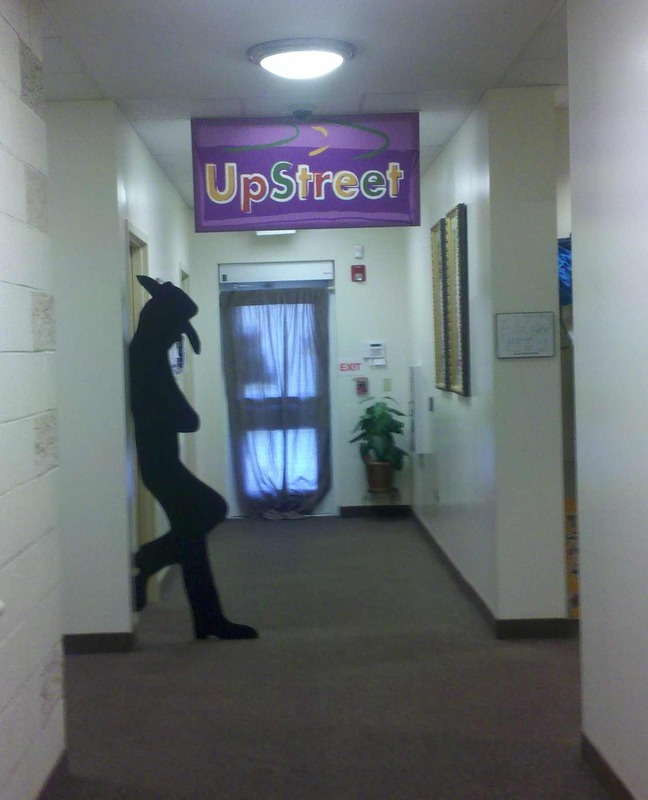 Behind that door were all of our Waumba supplies! 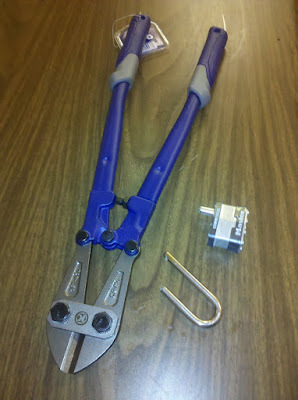 (preschool ministry) But thanks to Volunteer hero of the day, Matt Rich, here was the solution and result. Seriously, I bet there wasn't another church on the planet today...yes I said planet--that required the use of bolt cutters in order to pull off their preschool environment. I'm just saying...this thing is an adventure. And none of the happy people that showed up and dropped off their children in Waumba ever knew this had happened. **To the people that work so hard, give so much, serve so faithfully, and show up with game day creativity for the sake of our mission.--THANK YOU! It matters. Peoples lives are being changed. Michael Hyatt has a great perspective on the role of social media to Christian leaders. He is one of the handful of people that I follow on twitter. I select the people I follow by virtue of either close relationship, or whether or not they add valuable content to my world...(or both). Michael consistently brings helpful content into the world of his twitter followers. My big brother "Scott Brown" is actually doing the interview. I've looked up to him for years as a spiritual leader and phenomenal business leader. He is the managing editor of a magazine called "Outcomes" (pick up a copy if you are a leader) as well as being a VP in his company Christian Leadership Alliance. Proud to call him family! 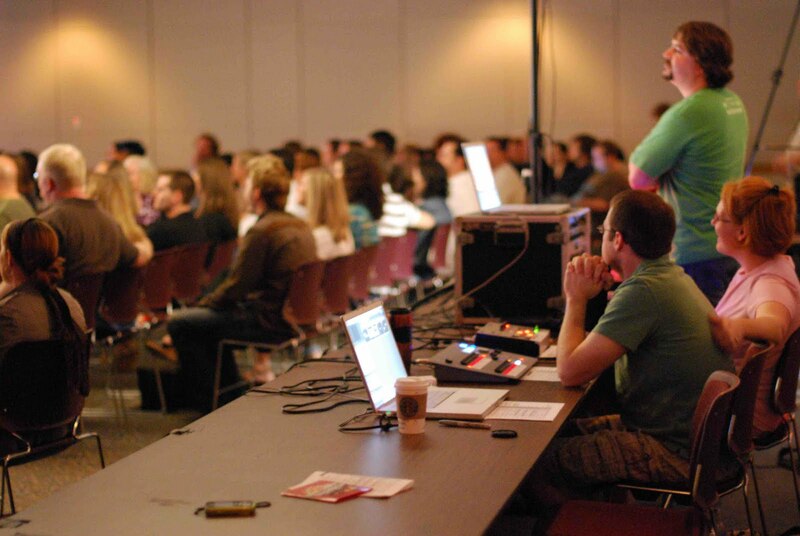 How Can Christian Leaders Get Started with Social Media? from Michael Hyatt on Vimeo. New series starting Sunday at Ridge Church called "There's an app for that!" I think this series is going to be a game changer for a lot of people. 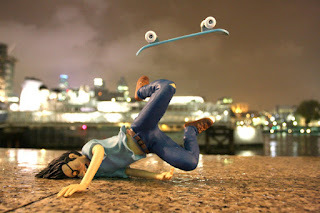 Last week we gave out a little homework assignment that I wanted to reiterate here on my blog. Normally using your phone in church is "taboo" (yet oddly common:-) but we are giving everyone temporary permission to break the rules. 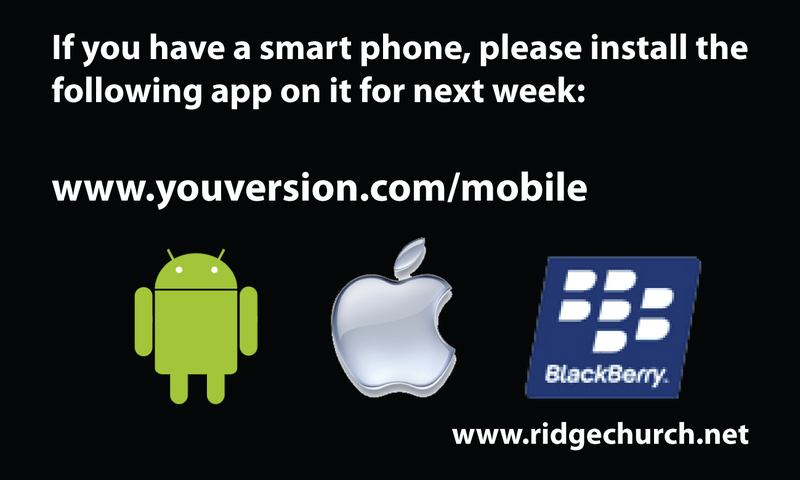 Download a Bible app this week for your smart phone or ipod touch because you'll need it. Youversion is the one we recommend--so go HERE to download it. AND...good news for you old school Bible Sword drill champions. You will have an opportunity to re-live your glory days this Sunday. 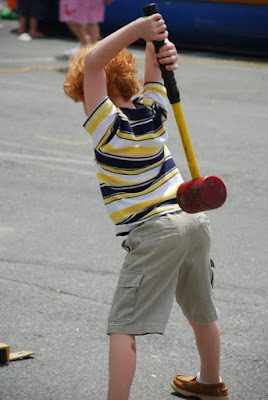 If you are reading this and wondering "what in the world is a sword drill?" --just know that you are more normal than the people that immediately understand the phrase--AND for the record PLEASE do not bring or allow your child to bring a real sword to church this week! See you at 10am. 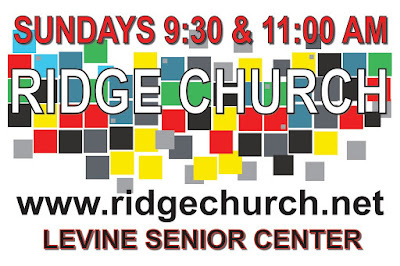 Sunday is a really big day at Ridge Church. 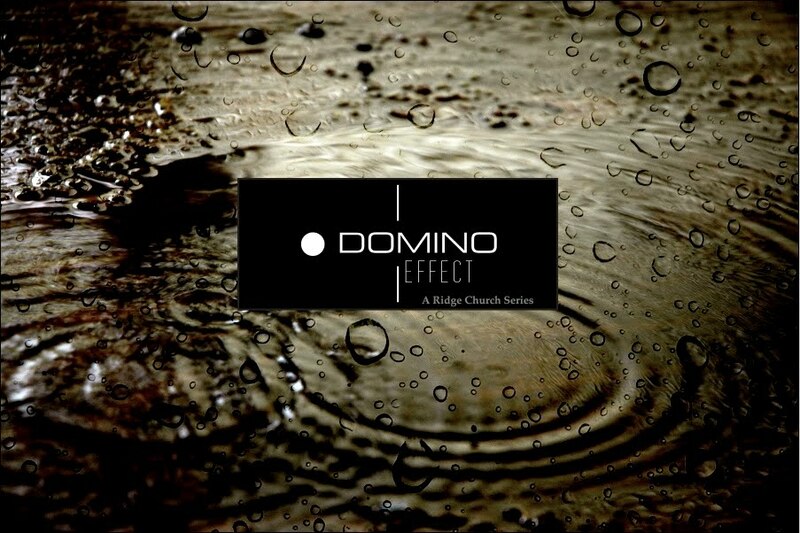 We will begin a brand new series called "Domino Effect" about small actions that can have a huge effect. 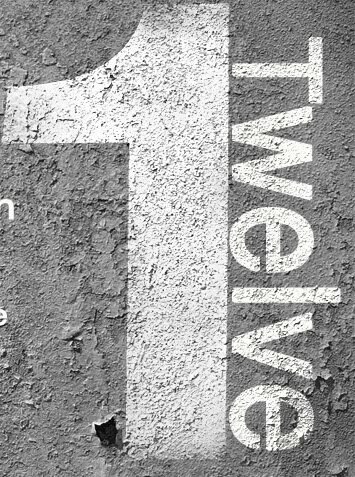 We are also starting our summer schedule which means one service at 10am! 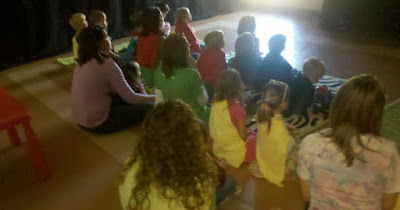 For the first time in our history as a church there will be something for every age group all at the same service time. 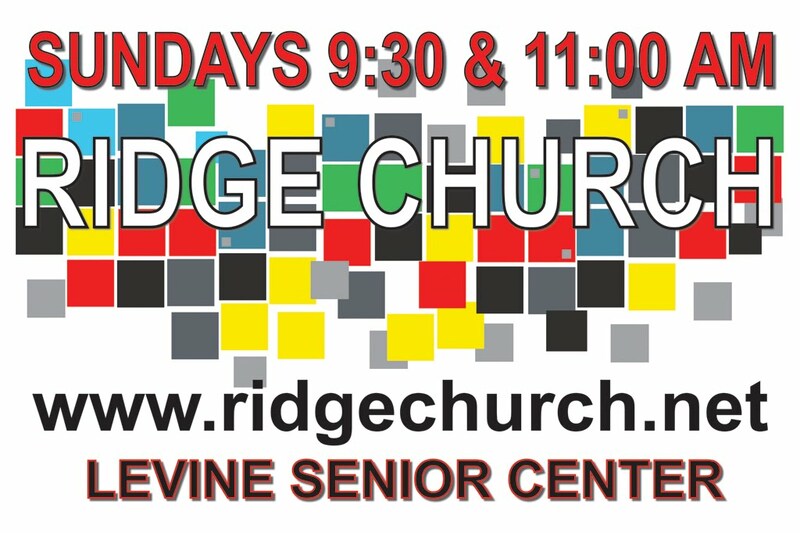 This is a great time to invite people to experience Ridge. We also kick off Financial Peace University (Dave Ramsey) and Starting Point Sunday night as our two summer studies. You can still sign up on Sunday morning if you haven't already done so. I highly recommend both of these! 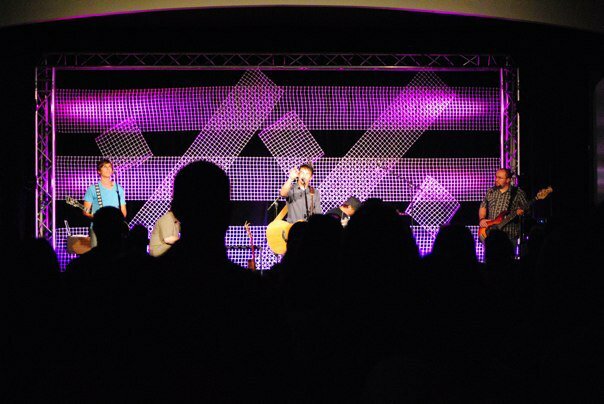 Last weekend at Ridge was a phenomenal day of worship services. Nice little Beetles opener too! It was a great reminder of why we go to such great lengths to create great environm ents. The theme of the day was simple: "Together we create something extraordinary". Quite a few people signed up expressing interest in becoming part of one of our volunteer teams at Ridge Church. Our goal is 40 new volunteers before the fall and I know we will get there. If you haven't joined a volunteer team yet now is the time! If you missed last Sunday you can sign up any time in the next several weeks. I had quite a few people ask me if we could post the video from Sunday so here it is. If you want to hear the rest of Tammy's story don't miss our current series called "Domino Effect." We'll reveal the rest of her story during this series. If you haven't been to Ridge recently you are missing out! Everything in this life (your life too) that causes guilt can be traced back to the same pattern every single time! So to avoid or eliminate guilt from our lives we must not begin with guilt itself (the product) we must begin with where it all starts. Here is the problem...there is one highly effective way to break the stupid cycle. Effectively breaking the cycle begins by limiting the opportunity. Don't try to manage your desires. You will lose. Don't try to limit or govern your gratification. You will consume more, go further, do more, take more and ultimately it will control you instead of you controlling it--You will lose. And don't try to medicate your guilt or ignore your guilt. You will lose. Want a life where guilt is the exception not the rule? THEN spend time carefully monitoring "Your opportunities". Regardless of the cause of your guilt--regardless of what tempts you the most, if you work hard to reduce opportunity you will kill the "stupid cycle" before it begins. This is a simple concept but don't confuse simple with easy! This takes work. Take a stroll through the old testament and you'll notice quickly that this thing of respect and reverence for God is a big deal. Often the phrase "Fear the Lord" is used. 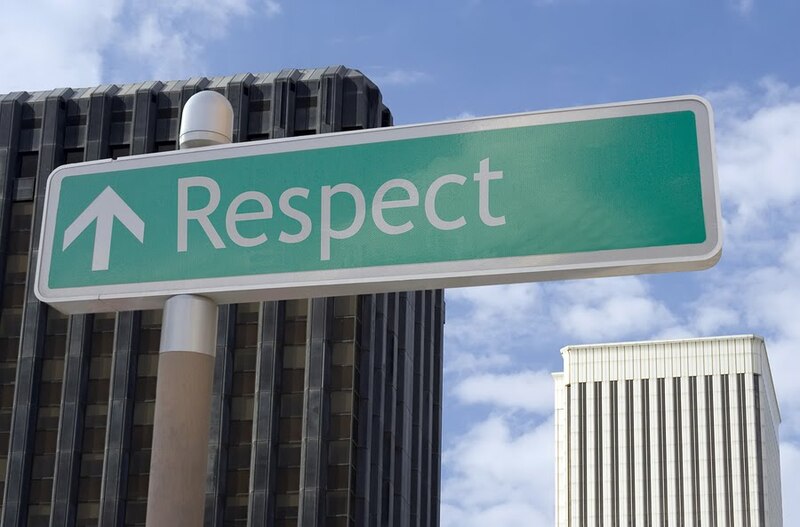 In context this phrase typically carries the idea of respect on steroids. It's the kind of respect that causes you to freeze up or stand up when someone enters the room. It's the kind of respect that causes you to rearrange your day just to spend a few moments with a person. It's the kind of respect that causes you to ask questions, sit, and listen instead of talking. It's the kind of respect that inspires you to action. So why is God apparently obsessed with respect? I think the answer to that is potentially much more than a simple phrase but I believe this phrase stabs deep into this apparent obsession with respect. "Deep respect creates a desire for relationship!" Cover to cover the Bible is a story revealing God's interest in personally relating to each of us. I've never met a person that I didn't respect that I wanted a closer relationship with. I've never deeply respected a person and not wanted to know them better give the chance. For many of us we have lost or never had a sense of awe or sense of respect for God. Consequently our intimacy has suffered or been non existent. Stop and consider him!! Look at his Creation (start by looking in the mirror). Consider his love for you. Consider the miracles. Consider the peace he offers. Consider his salvation. Consider his power to shape all that affects us. When respect runs deep--the desire for intimacy will likely flourish. If your intimacy with God is nonexistent or if your relationship with him has seen better days...start or restart by considering who he really is, what he really does (and has done), and how he really loves. Start there--Respect and intimacy are sure to follow! On Sunday, April 25th Ridge Church took a road trip to South Piedmont Community College where we had our very first Core Gathering not so many years ago. All week leading up to the event the weather showed 100% chance of rain yet we experience the perfect outdoor day complete with sunshine and a nice breeze. Coincidence? I think not! Over five times more adults joined us for Throwback than we had when we left South Piedmont back in the fall of 2007. We looked back and dreamed forward. The challenge of the day was simple: When we follow an immeasurable God into a radical mission the phrase "We've never been this way before" --becomes part of the common language. [from Joshua 3:2-4]. I love leading a group of people that are willing to risk so much and give up so much for something that we all love even more! THANKS for not playing it safe Ridge Church! The energy in the room was crazy...the worship was full of both celebration and reflection...we pulled out 50 or more extra chairs...the community was contagious...the vision was tangible...the BBQ was excellent...and the blow games were echoing with laughter. 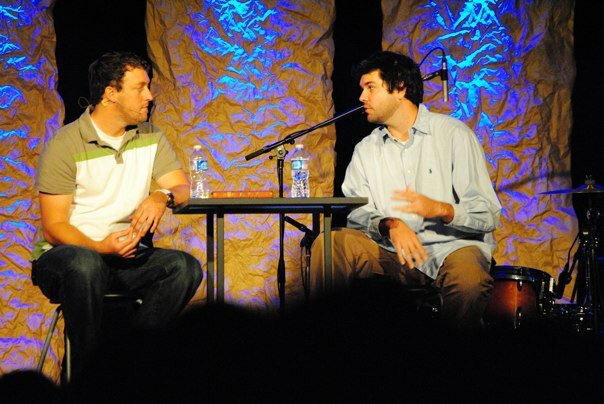 It was a milestone day in the life of Ridge Church. I'm so grateful for the men and women that have invested their lives so deeply in this mission. I am humbled to have the privilege of leading this incredible, passionate, growing church. Our dreams are so much bigger than our memories. I can't wait see them unfold. 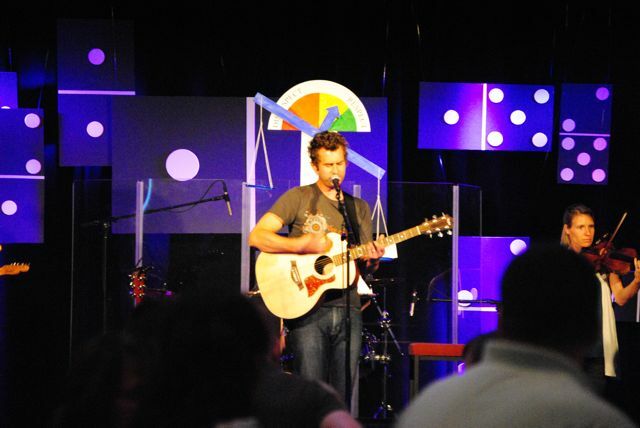 Thanks for being part of the story God is writing through this church. Keep spreading the word!